Is The Olive Tap Franchise for you? Perhaps you have visited one of our stores, and love our product and concept and think this is something you would like to do yourself. 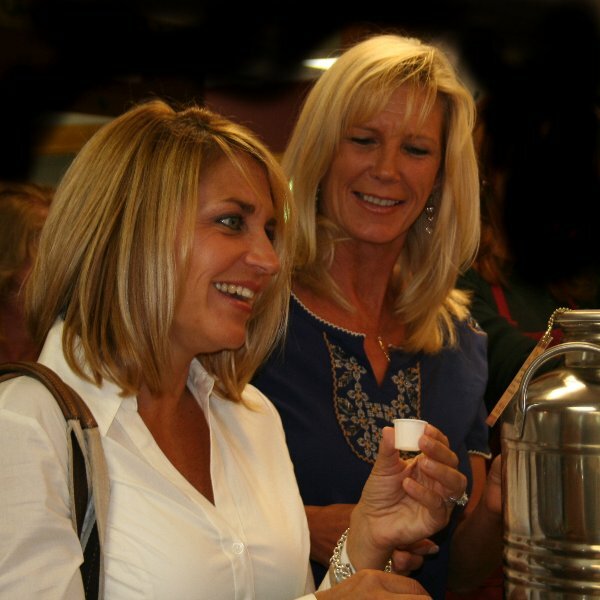 In 2012, The Olive Tap officially began offering franchise opportunities to those individuals interested in owning their own The Olive Tap store. According to articles in about.com and Franchise Direct* there are advantages to owning a franchise, but a franchise is not for everyone. We encourage you to search for and review articles about the advantages and disadvantages of owning a franchise. If you think franchising is for you, here is what The Olive Tap has to offer. NOTE: If you are interested in franchising with The Olive Tap, please download, fill-out and email the Prospective Franchisee Contact Form to the address listed on the form. Access to Some of the Finest Extra Virgin Olive Oils in the World. Unlike some Oil and Vinegar suppliers that force you to purchase only from them or face severe, business crippling consequences, The Olive Tap has many suppliers for you to choose from, including several Award Winning Producers. And our franchisees can even be part of the process by suggesting new suppliers for us to evaluate and add. Brand Awareness. The Olive Tap is a registered Trademark, and is becoming known throughout the United States. In addition, we have a very active web site giving you access to an existing customer base from day one. "Prior to opening The Olive Tap at Wayland Square, I spent 16 years in Operations/Marketing with McDonald's and Dunkin' - both franchise businesses. With my knowledge of other franchise relationships, I have been incredibly impressed by the service and support provided to us by The Olive Tap. The team has not only helped us at every turn, they've made us feel like part of the family." A complete Equipment and Supply List. You can save hundreds of hours by not having to research products, supplies and equipment, and then finding suppliers who have those products. Our extensive list gets you up and running faster and more efficiently, without you wasting time and valuable funds on inferior products and services. Marketing Support. Our team has over 50 years of sales and marketing experience in a wide variety of industries, and well over 20 years of combined experience in operating several successful Olive Oil and Balsamic Vinegar Specialty Stores. Prior to franchising, our team offered consulting services to over 20 Olive Oil and Balsamic Vinegar Specialty Shops. From traditional marketing, to the new electronic era and social media, we have an abundance of tried and tested marketing techniques and templates for our franchisees. Speed to Market and Faster ROI. By eliminating your need to do everything on your own, and offering assistance from day 1 as a franchisee, you will generally be able to open your store sooner, and begin generating revenue much faster than you could do by yourself. Store Set-Up and Initial and Ongoing Training. We begin helping you from day one, with more formal training later when you are ready. We assist you in the process of selecting your location and offer build-out advice to help you get open quickly. Our classroom style training program is broken up into several modules that cover all the important topics you need to manage your business. Our 472 page operating manual is replete with information you need to effectively run your store, and train your employees. Additionally you will have access to our “Cloud” site where you can download marketing support materials and other files to make your day to day job easier. The Olive Tap Website, and any franchise sales information contained herein do not constitute an offer to sell a franchise. The offer of a franchise can only be made through the delivery of a franchise disclosure document (FDD) to a qualified party. Prior to delivery of a FDD, Olive Tap Enterprises, Inc., the Franchisor requires some information in order to qualify a recipient. A franchise offering can be made by us only in a state that we are first registered, excluded from registration, exempted or otherwise qualified to offer franchises in that state, and only if we provide you with an appropriate franchise disclosure document.